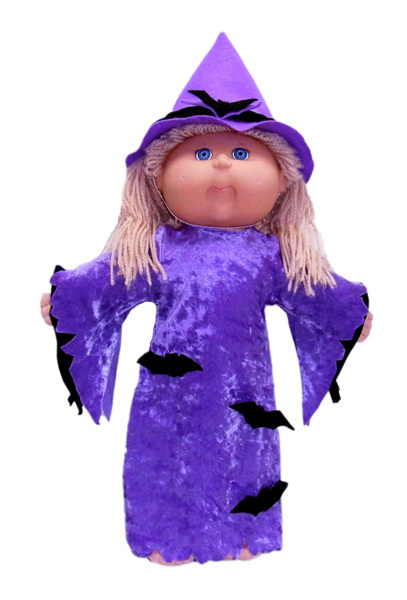 There is nothing spookier than a Cabbage Patch Witch at Halloween and this easy to make Witches Costume is super spooky. The pattern includes the Witches Dress, Witches Hat and a template for the freaky bats. 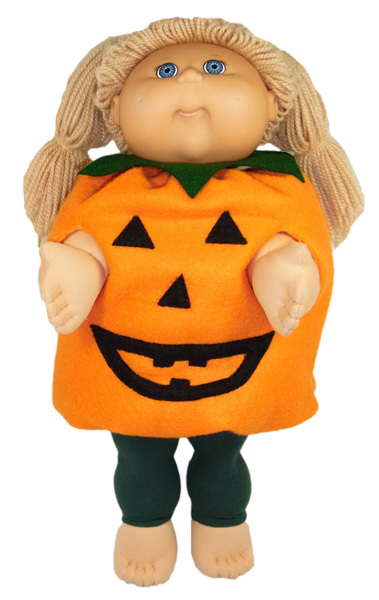 WOW, this is the most unique Halloween Cabbage Patch doll clothes pattern you'll ever see! Includes a bonus tights pattern. 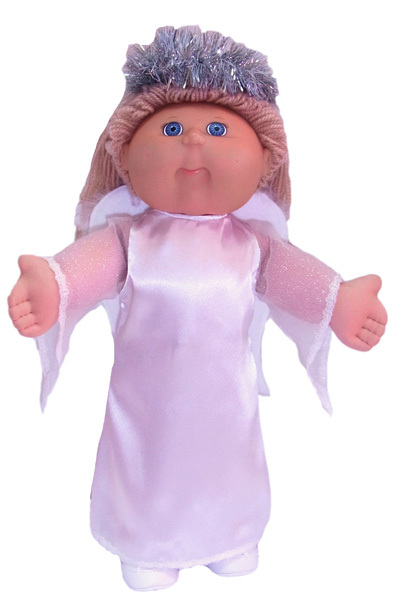 This gorgeous, easy to make Angel Costume for your Cabbage Patch Kids doll will bring a touch of elegance and style to all the fun of Halloween. Every Girl loves the magic and fantasy of Fairies. 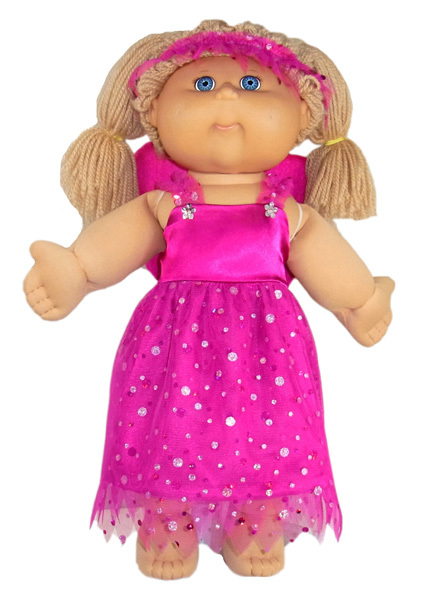 Now your Cabbage Patch doll can have her very own Fairy Costume too! This pattern includes the Dress, Headpiece and Fairy Wings.